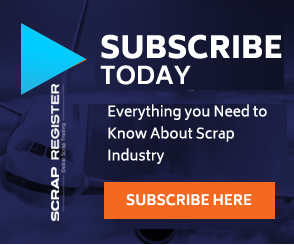 NEW YORK (Scrap Register): United States domestic raw steel production was 1,922,000 net tons in the week ended on January 26, 2019, while the capability utilization rate was 81.1 percent, according to the latest figures from American Iron and Steel Institute (AISI). US domestic raw steel production was 1,715,000 net tons in the week ended January 26, 2018 while the capability utilization then was 73.6 percent. The current week production represents a 12.1 percent increase from the same period in the previous year. Production for the week ended January 26, 2019 is up 0.5 percent from the previous week ended January 19, 2019 when production was 1,912,000 net tons and the rate of capability utilization was 80.7 percent. Adjusted year-to-date production through January 26, 2019 was 7,065,000 net tons, at a capability utilization rate of 80.3 percent. That is up 10.9 percent from the 6,371,000 net tons during the same period last year, when the capability utilization rate was 73.6 percent.